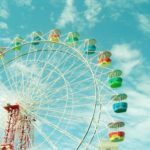 If you have ever been to an amusement park, fair or carnival, there’s a good chance that you have gotten the chance to ride a ferris wheel. This is one of the main rides that people enjoy any time that they go to one of these events. 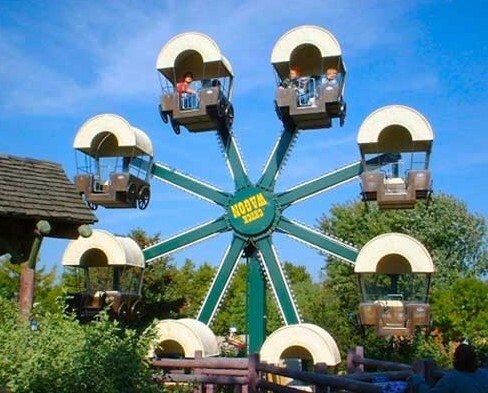 However, have you ever taken the time to consider what parts make up the mini ferris wheel? You’re in luck. This guide will explain these components to you so that you have a much better understanding of how this ride works. 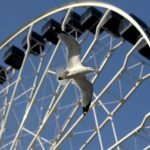 In most situations, the Ferris wheel that you ride on is made with either some form of steel or aluminum. It must be built tough because it accommodates a great deal of weight and must be aerodynamic as it spins around and around. 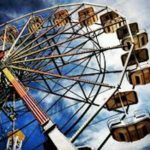 These frames must be transported and broken down from one place to another in most cases, since fairs will typically involve moving from town to town, as opposed to simply long stays at amusement parks. It is for this reason that a durable, yet flexible metal is chosen, so the wheel can be properly broken down and transported whenever necessary. Since passengers must board the ferris wheel comfortably, a lot of thought and energy went into the creation of such seats. They are typically custom molded and utilize a form of self skinning polyurethane foam. 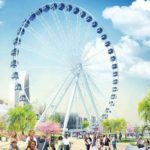 This combination of material allows riders to have support as they are elevated and taken into a number of different angles as the ferris wheel operates. They are usually attached at the top or the back so that the passenger is able to hang freely while still having a large measure of security as it operates. 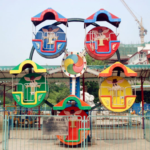 The body of the Ferris wheel itself contains a number of different moving parts. These components typically include support towers, spokes, tubing, drive wheels and more. The body must support the wheel so that it remains on track and able to flow freely while still elevating and spinning continuously. The drivetrain and some other components are usually controlled by a computer or some other form of electronic operation. These rides have come a long way since they were introduced more than 100 years ago. 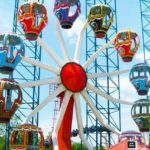 They still remain one of the most sought after rides that people take advantage of when they decide to make a trip to any kind of carnival, fair or amusement park. 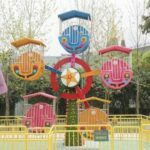 The good thing is that the next time you decide to make a trip to one of these parks, you will have a better understanding of what goes into the ride. If you are like most people who attend these events, you may have ridden one yourself. Keep the points laid out in his article in mind so that the next time you decide to enjoy it, will you will remember the many components and moving parts that allow it to work its magic.